There seem to be two versions of Eggs Florentine kicking around. The one I’ve seen served at restaurant brunches is often a vegetarian version of Eggs Benedict – use spinach instead of Canadian bacon, but keep the English muffin and the Hollandaise sauce. 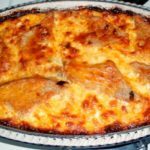 The classic, though, skips the bread, and uses Sauce Mornay. And what is Sauce Mornay? Just the same white sauce from the last post, with cheese added… Classically a mixture of Gruyere and Parmigiano, but other cheeses are sometimes substituted. 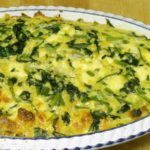 Well – here I am, with spinach, with eggs, with Jarlsberg cheese (OK, it’s not Gruyere… but a similar type ) and with a method for making cheese sauce I want to demonstrate. I wasn’t actually planning to do a cheese sauce for another few weeks, but… it does just make sense. I removed it from the pan, pressed out the liquid (which is juices from the spinach) back into the pan, and arranged the spinach in a baking dish. I poured a cup of milk into the saute pan, and added one roux cube. (ETA: or use a gluten free roux cube. I originally wrote this post before I went gluten free.) Stirred. Got out the Jarlsberg cheese (I didn’t have Parmigiano) and cut it into cubes. When the sauce started to thicken, I added the cheese, and stirred it in. While the cheese melted and the sauce continued to thicken, I carefully broke four eggs into the pan of spinach. (Pausing in between eggs to stir the sauce.) 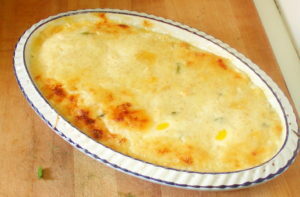 Once the cheese had all melted, and the sauce was thick, I spooned it carefully over the eggs. I then placed it into a preheated 350 oven to bake. I checked after 20 minutes, but it wasn’t cooked enough (I like my eggs very firm.) 25 was fine. This was a light lunch for the two of us – served with toast. It would also be a lovely first course or side dish for four. It might be fun to bake it in individual ramequins as a first course – start checking for doneness at 15 minutes. And it could easily be doubled, or more, using a larger baking dish. (In which case, you would need to bake it longer.) 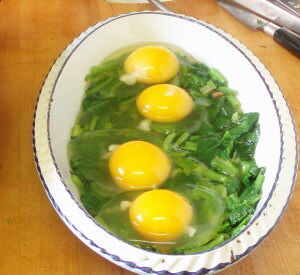 And another option is to mix the sauce in with the spinach, and place the eggs on top of the mixture. For a brunch, I’d probably cook the spinach ahead, so I didn’t have to mess with it in the morning, and make the sauce while I was assembling the spinach and eggs in the baking dish. Into the oven in just the 10 minutes you need to preheat! The wonders of a quick and easy sauce. 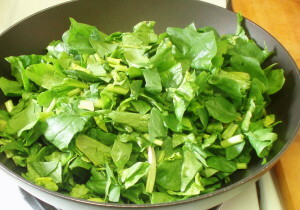 Wash spinach carefully,and chop. 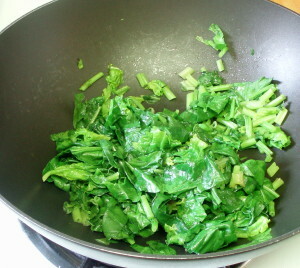 Saute in pan, then steam until wilted. 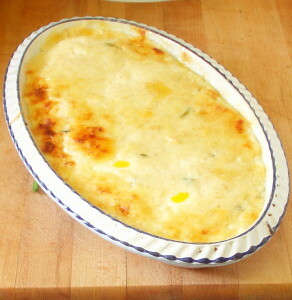 Place in baking dish. 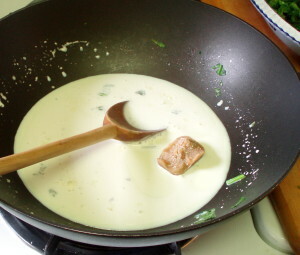 Place milk and roux cube in saute pan. Bring to a simmer, stirring occasionally. Add cheese and stir in until melted. 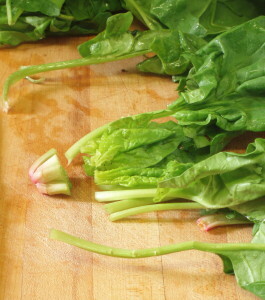 Break eggs, and arrange raw eggs on the spinach. Carefully spoon sauce over the eggs and spinach. Bake at 350 for 20-25 minutes, until set. 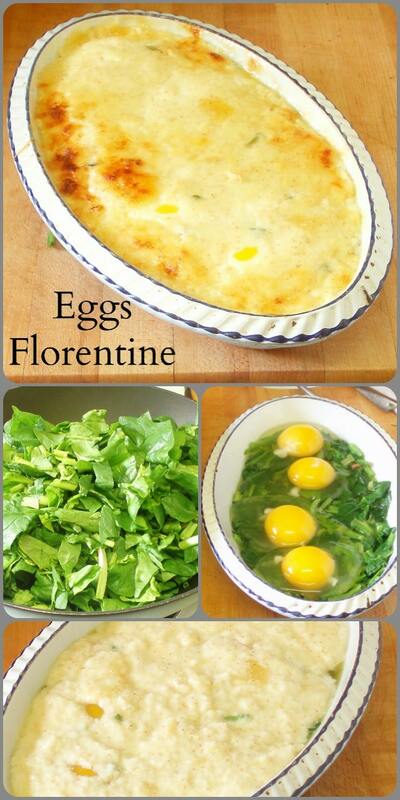 Spinach with eggs are so delicious and I love the combination, especially for breakfast. I don't think I've ever made Eggs Florentine before, but the added cheese sauce can only improve on eggs with spinach - deliciousness! This looks SO GOOD. Love eggs, love spinach - totally need this in my life. Only 6 ingredients! So easy and elegant! Eggs and spinach is an awesome way to start the day too. Trust me, I'm not doing anything complicated for brunch... LOL But it does feel elegant, indeed! Oh, how lovely! I hope he enjoys it! I never understood people who don't like the flavor of spinach. I love it and this recipe! Nothing like a good classic with a little extra iron thrown in with your protein. Delish! I think some of them have only met boiled spinach - which is a sorry sludge indeed... And I know some react to the oxalic acid (which is one reason it takes so well to a cream sauce like this one!) 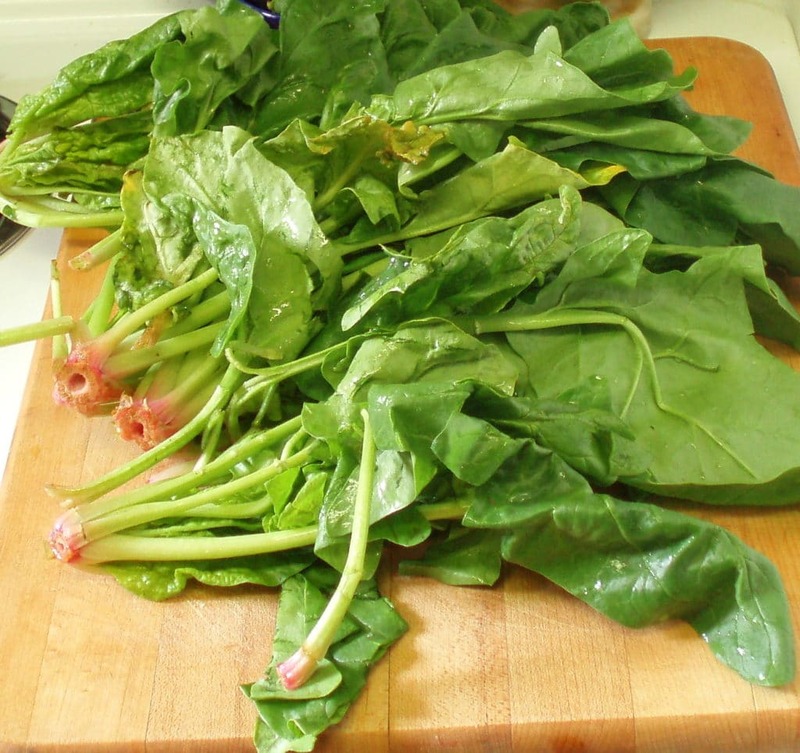 But yes, between the spinach and the eggs, this is fantastically nutritious, as well as tasty.